Developed in conjunction with the world’s most successful swimmers, its revolutionary new technologies streamline the body to deliver outstanding hydrodynamics. Choose the high waisted Jammer for improved hydrodynamics. 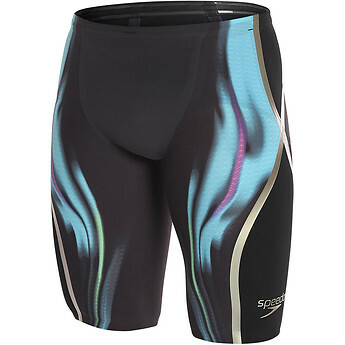 A black suit with blue unique tape design that stands out on the blocks. One way stretch fabric technology provides intense muscular compression while offering excellent freedom of movement through every stroke. Developed in conjunction with the world’s most successful swimmers, our revolutionary technologies streamline the body to deliver outstanding hydrodynamics. Increased targeted compression streamlines the body while support seams hold you higher in the water, making you feel your fastest. My son loves speedo racing suit, he always got PB with it. Easy to maintain too!